HUNTSVILLE, AL (WAFF) – Alabama Gov. Kay Ivey spent her Thursday morning reading to pre-K students at Providence Elementary School. 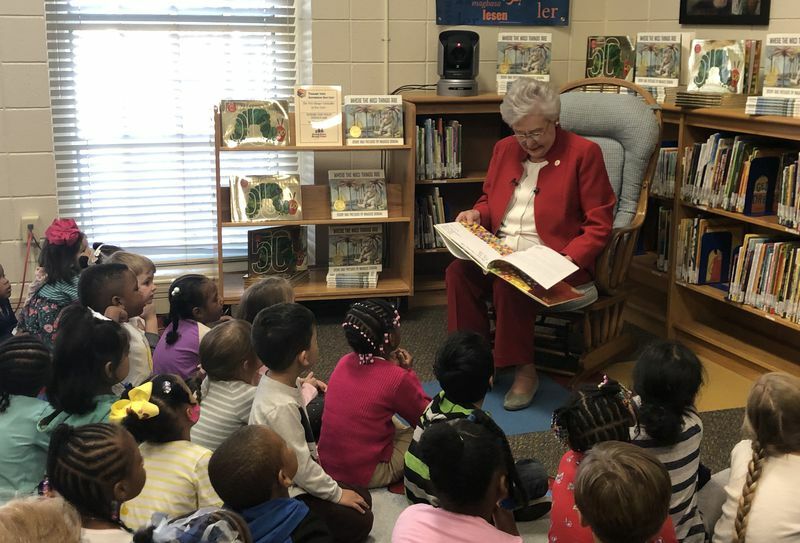 During her visit, Governor Ivey stressed the importance of reading. She has made stops all across the state this week reading to pre-K classes as part of her inauguration tour. “I feel very blessed and when people ask how were you selected, I say I guess it’s just God’s favor,” says Lynette Alexander, principal for Providence Elementary School. Earlier this week, Ivey announced a $10.6 million grant that will help improve pre-K programs across the state, including Providence Elementary. “We have three first class classrooms, excellent teachers, great support from our district. We are just honored that the governor selected us,” says Alexander.